Roderick M. Urquhart has been appointed a Deputy Lord-Lieutenant for East Lothian. 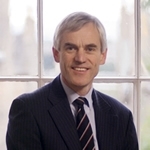 He is a partner in Urquharts, Solicitors in Edinburgh. A former President of the Lorettonian Society and Clerk to the Loretto Governors, he is a trustee of the Lamp of Lothian Trust and a High Constable of Holyroodhouse – currently the Captain of the Guard. The Lord Lieutenant is H.M. the Queen’s representative in the county.